I don’t often go to Cambridge, and it’s not just because getting there by T is an uncomfortable experience. Or at least it used to be. When I first moved to Boston, I worked for five months at a public relations firm in Kendall Square. Then they fired me, which was the best possible thing because I was not the right person for this job and I truly did not like it. 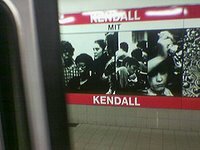 But while I worked there and for a couple years after that, every time I’d ride the T, I’d get an upset stomach every time we’d go through the Kendall/MIT station. It was like a Pavlov’s Dog kind of thing that my body just knew where I was and hated being there. All that has passed now, thank God, and basically I just told you a story for no relevant reason to this posting. Anyway, these days I don’t go to Cambridge because I don’t like Cambridge. Actually, maybe the anecdote above was relevant because I’ll expand my statement to say I don’t like anywhere on the Red Line. No dating relationship I’ve ever had with a woman who lived in Cambridge or Somerville has ever worked out. In fact, I don’t even date people who live on the Red Line anymore. I’m strictly a Green Line dater. And I’ve just never fit in over there when I’ve walked around. All the independent stores and restaurants, with their “edginess” — they’re just not my thing. 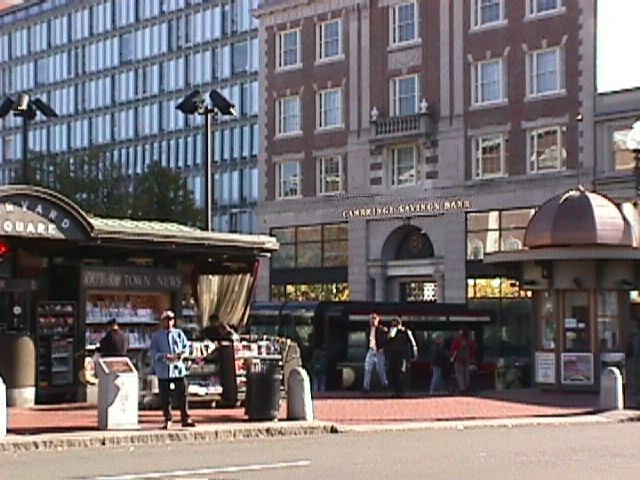 I much prefer the Back Bay or Brookline to Central Square or Harvard Square. In fact, I am strictly a Green Line person, and I do believe there are Green Line people and Red Line people. And yes, I prefer people who live on this side of the river too. Cantabrigians (or whatever they’re called) are just not my kind of people. They’re a totally different breed. Somervillians too. Which is fine. It’s not that I don’t like the people who live there, I just don’t like where they live. I mean, and also, it’s so far away. Hell, it’s like going to a different country going to the other side of the river. So I almost never go. And sure, maybe it’s because I don’t know the area so well. After all, for a while, I thought that Somerville was a part of Cambridge, in the same way that Chestnut Hill is a part of Newton. But I went to that side of the river last night, to Harvard Square, with Todd and Sara. And it was a good time, but yeah, I don’t like Cambridge very much. LOL! I think you are forgetting that the Red Line goes south too! So much for the disclaimer Marty. Adam Gaffin has already highlighted this post on UniversalHub. Haha – despite the generalizations, I actually agree! Except I’m on the other side of the river and I don’t like to date Green Line people. 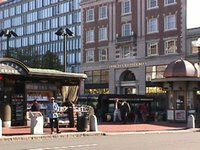 I tend towards Cambridge, Somerville, and the other end of the Red Line – Southie!